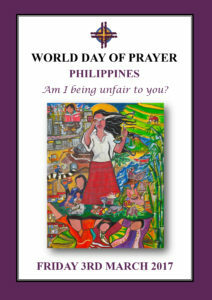 Home › Home News › Pray with us on World Day of Prayer! World Day of Prayer is a worldwide movement of Christians of all traditions who come together each year on the first Friday of March to observe a common time of prayer to which all people are welcome. More than three million people in over 170 countries will join in services or prayer events. As you pray on this World Day of Prayer and reflect on its theme, we here at Mary MacKillop International recommit to our vision of a world without poverty, where the rights and dignity of every person are respected and where people are free to engage fully in society. We will continue to follow in the footsteps of Australia’s first saint, to work with compassion to bring dignity and justice to the communities overseas in which we work. you revealed in Mary MacKillop a sensitivity to the rights and dignity of every person regardless of race or creed. May we learn from her to overcome fear and prejudice. Help us to value the goodness of each person and all the blessings of unity in diversity. We ask this through the depth and unity of you, our bountiful God, who hold all things in being. 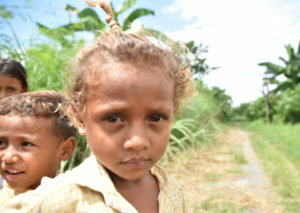 MMI thanks you for holding the people of Timor-Leste, Peru and Papua New Guinea close to your hearts and responding to their needs through your thoughts, prayers and actions.